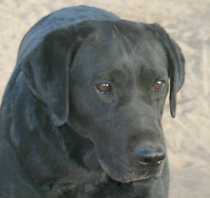 1999-2010 - black male - "Crispin"
Handsome dog with extraordinary free-flowing movement and a loving personality. Crispin sired good movement and wonderful dispositions. Crispin finished his UKC show Championship in four shows, undefeated for Best Male/Best of Breed, with a Group 2nd over titled competition. Pictured at age 6 (above) and age 9 (left). 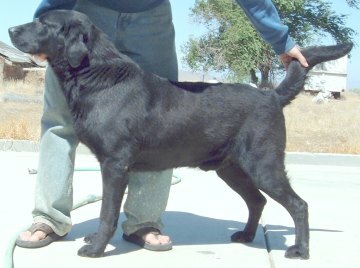 1999-2010 - black male - "Bouncy"
UKC Champions Stagger, Jag, Equus, and Viper. 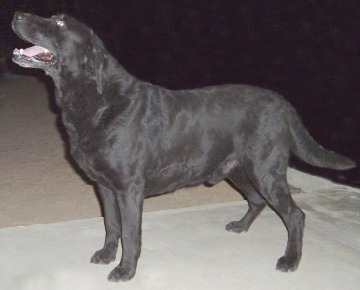 Bouncy (pictured at 8 years old) finished his UKC Championship in 5 shows, including a Best Male and two Bests of Breed over show-bred competition. 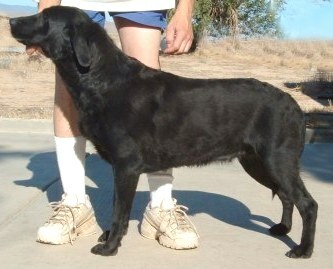 He has obedience scores as high as 196, and has been trained for field and agility work. He loves birds and water, and can open any door that doesn't lock with a key! 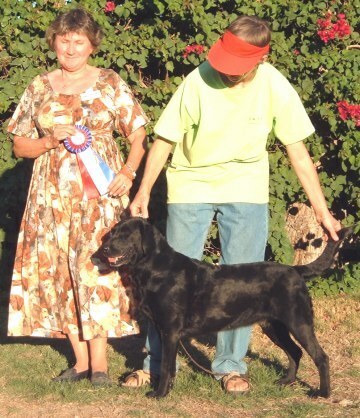 Avis finished her UKC Championship in four shows, with two Best of Breed wins. 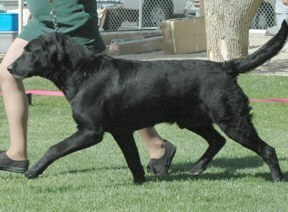 Avis first set foot in the show ring at just under 9 years old! correct type, superior working talent, stable temperament. 5 littermates went to the Guide Dogs.